The female half of the wanna be ‘Bonnie and Clyde’ couple who went on a 2008 cross-state crime spree has pleaded guilty for her role in the murder of a Missouri truck driver. On Tuesday, Dana Tutor, now 42, appeared in court and pleaded guilty to second-degree murder and first-degree robbery in the shooting death of Valentin Kirilchuk. 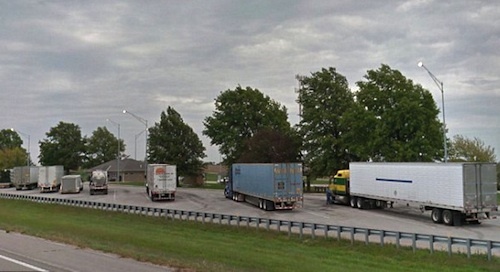 The 39-year-old truck driver had stopped at a rest area in Platte County, Missouri and fell victim to the couple’s evil plot. Prosecutors said Kirilchuk's 2008 murder was part of Tutor’s 'Bonnie and Clyde' style multi-state crime spree with her then boyfriend John Matthew Hughes, now 41. “Tutor wanted to be like Bonnie and Clyde, and she was. Just like Bonnie and Clyde, she and her boyfriend John Hughes are robbers and murderers,” prosecutor Eric Zahnd told the court. Zahn said the couple had even talked about getting 'Bonnie and Clyde' tattoos to pay tribute to the notorious outlaws they were trying to emulate. Just days before killing Kirilchuk, the couple had murdered another innocent victim in Zanesville, Ohio. 53-year-old David E. Durben was found stabbed to death on September 2, 2008 and Hughes is currently serving a life sentence for his murder. According to prosecutors, the couple had been making their way west after killing Durben and stealing his 9mm handgun. They were traveling northbound on Interstate 29 and pulled into a rest stop between Camden Point and Dearborn, MO. Kirilchuk, a Ukrainian immigrant, had been working as a truck driver and was on a delivery job, which unfortunately led him to the same rest stop. Prosecutors said Tutor went up to the window of Kirilchuk's cab and told him she needed $100. Her fingerprint was also found on the passenger side window of his truck. 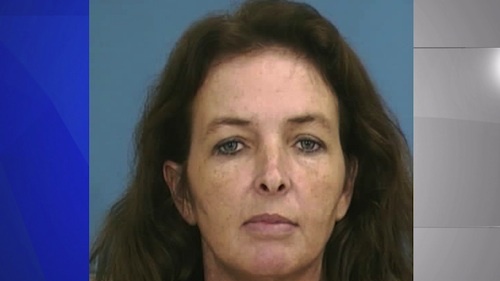 The truck driver fell victim to her trap and followed Tutor to the rest area's main building. Hughes was already laying in wait, pretending to be talking on a pay phone, and then used the stolen 9mm handgun to force him into the men’s restroom. At that point, a struggle ensued and prosecutors said that Hughes simply shot Kirilchuk in the head, killing him instantly. Another couple had been riding with Tutor and Hughes at the time and one of the witnesses said that after the murder Tutor drove the car away from the crime scene and was laughing about the fact that Hughes had just killed a man. Hughes was later arrested in Nebraska on a DUI charge and a warrant for the Ohio murder. Investigators were then able to tie him to the Missouri murder and in 2010, he pleaded guilty to first-degree murder amongst other charges. He later gave a televised interview from prison saying, 'I feel that I'm the antichrist,' and that he 'wanted the death penalty.' 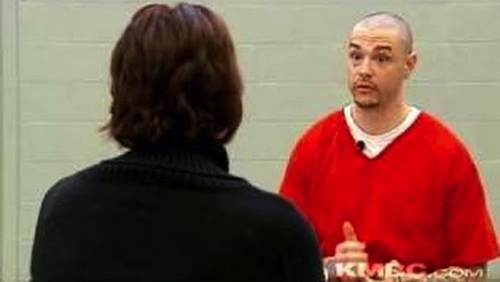 During the interview he also said the murder in Missouri was a way for him to regain 'control' over his girlfriend and the two other passengers who were in the car. Under the terms of her plea deal, Tutor now faces up to 20 years in prison for her part in a horrible crime that took the truck driver's life. “We are pleased to finally deliver justice for the family of Valentin Kirilchuk. There is no doubt he would be alive today if the defendant had not lured him to his death,” said Zahnd.